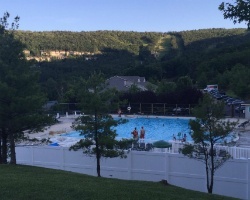 *Massanutten's Shenandoah Villas* is a beautiful property located in the Shenandoah Mountains of Virginia, just 2 hours from Washington, D.C. 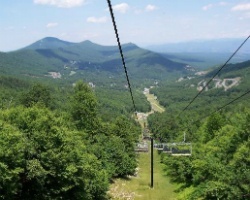 The resort offers a PGA golf course, snow skiing, hiking, mountain biking and river canoeing. This is a great resort for the sports enthusiast! There are swimming pools and a workout room at the Woodstone Meadows check-in center, and several outdoor pools at the resort. There are a driving range and two golf courses. 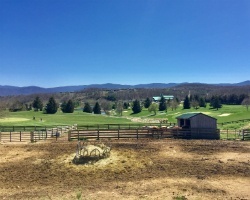 Mountain Greens is an 18-hole course, par 72. In addition, there is the Woodstone Meadows course, which is an executive 9-hole par 30 course. Club and cart rentals are available at both courses. There are also fishing ponds stocked with rainbow trout, and fishing gear is available for rent. A nearby stable offers horseback riding, and from May to October two of the ski lifts are open for rides to the top of the mountain. There are lots of things to do in this area year round! To discover more about the Massanutten Resort, visit www.massresort.com. *RCI Affiliated* Your beautiful 2 bedroom, 2 bath suite will accommodate 6 guests comfortably. Usage is annual in week 32. Also available for rent! For more information or to make an offer, please submit the inquiry form.